Want to know how to get government funding? Our first session in the Growing Your Business series will help entrepreneurs debunk some of the myths surrounding government programs and offer practical tips on how to access the programs that are right for your business. Season three of the “Growing Your Business” breakfast event series kicks off with a seminar on “How to Access Government Funding Programs – Leveraging Your ‘$$’” -7:30 a.m. Wednesday, September 15th at the University of Toronto Mississauga’s Faculty Club. Guest speakers include Bob Waterworth of KPMG LLP, who will offer an overview of government funding programs and tips on how to leverage them; Angelo Del Duca, Director of IRAP Ontario, who will provide an overview of IRAP, examples of successful projects funded by IRAP, and tips on submitting a successful proposal and Jack MacDonnell, Founder/CEO of Enermotion, who will talk about his company’s recent success in obtaining funding from the government of Canada. The Research Innovation Commercialization (RIC) Centre and the Ontario Center for Environmental Technology Advancement (OCETA) jointly host the 10-event series, which runs from September to June 2011. The first event is Sept. 15 from 7:30 a.m. – 10:00 a.m. at the University of Toronto Mississauga’s Faculty Club. 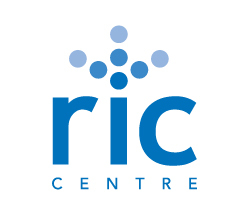 For more information, contact Shantanu at shantanu@riccentre.com or at (905) 273-3530. The seminar will help entrepreneurs debunk some of the myths surrounding government programs and offer practical tips on how they can access the programs that are right for their businesses. Bob leads a team of 5 full-time financial professionals in KPMG’s R&D Tax Incentives practice. The practice has extensive contacts within all government agencies and has an excellent track record in R&D incentives obtained. Prior to joining R&D Tax Incentives practice, Bob worked in KPMG’s Industrial & Automotive Products group. Bob’s experience also includes government grants, and an emphasis on all aspects of project management for a diverse set of projects geared at personal and corporate tax savings strategies. Angelo Del Duca is a Professional Engineer with more than 30 years of industrial experience. As an entrepreneur, he has co-founded his own company focused on providing custom microelectronics expertise to firms across North America. Angelo joined the National Research Council Industrial Research Assistance Program (NRC-IRAP) in 1997. He is a Director of the Ontario Region managing a team of 16 Industrial Technology Advisors that assist SMEs in their R&D Initiatives. Jack MacDonnell, CEO and Founder, EnerMotion Inc.
EnerMotion Inc. is a cleantech company established in 2007 that has developed a revolutionary hybrid energy system for transportation applications. Jack is an experienced Business Development executive and past president of MACSTON Performance Productions Inc., a sales and marketing firm whose clients included General Motors and many more fortune 500 companies. EnerMotion has recently been awarded a multi-million dollar project grant from the Government of Canada, received funding from the Innovation Research Assistance Program (IRAP), and awarded project support from the Ontario Centres of Excellence (OCE). “The series aims to help entrepreneurs fast track commercialization. Attendees will benefit from presentations by an expert panel on various topics related to business growth and commercialization. Every panel has three speakers, each hailing from different backgrounds, including academia, service providers and experienced entrepreneurs”, says Pam Banks, Commercialization Director at RIC. During a visit to Sernova (TSXV: SVA), Gary Goodyear* announced that $45 million of FedDev Ontario money will be deployed through the NRC’s Industrial Research Assistance Program (IRAP). IRAP has been a relatively effective vehicle for funding life science companies and has taken a prominent role since having been allocated $200 million in the 2009 federal budget. In 2010, NRC-IRAP has funded companies directly, including Isotechnika, Critical Outcome Technologies and Covalon (among others) and indirectly through the Health Technology Exchange (HTX). Sernova press-released the announcement, noting that they received $486,000 from NRC-IRAP in the 2009-2010 cycle; but it was unclear whether that funding was part of the FedDev allocation or whether FedDev-IRAP funds were forthcoming in the 2010-2011 cycle. * Yes, Gary Goodyear is now the Minister of State for FedDev Ontario. 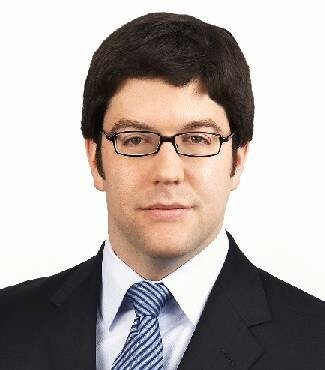 Jeremy Grushcow is a Foreign Legal Consultant practising corporate law at Ogilvy Renault LLP. He has a Ph.D. in Molecular Genetics and Cell Biology. His practice focuses on life science and technology companies.